Cleaning Tips for the Toughest Cleaning Jobs in Your Home…Stains From Grout, Carpet, Upholstery, Shower Mildew And Soap Scum! Do you struggle with tackling some of the more difficult cleaning jobs in and around your home? Let’s face it, some areas are hard to get clean and to KEEP clean. With 5 busy kids and a couple of pets in our home, there is always something that needs to be cleaned! So, it made perfect sense for me to team up with Powerizer to start tackling some of the areas in our home that needed a good cleaning! 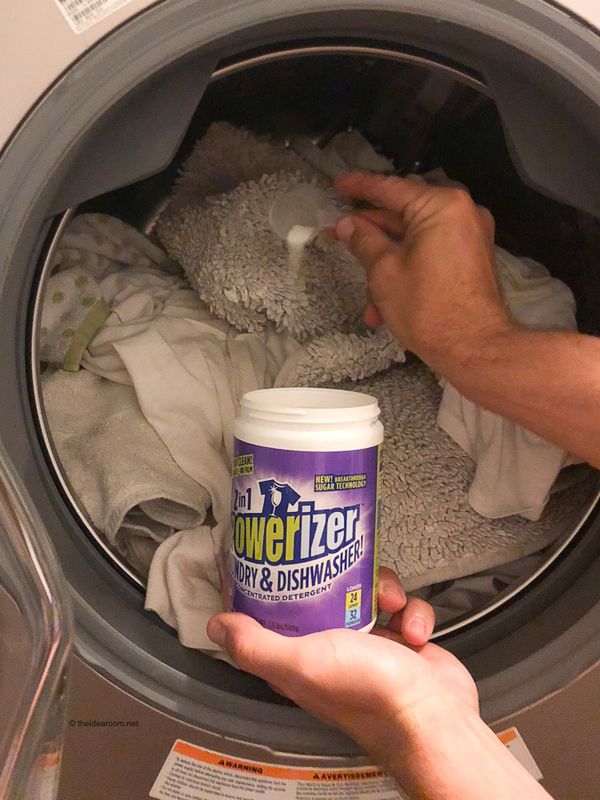 Powerizer is the world’s first 2-in-1 laundry and dishwasher detergent. 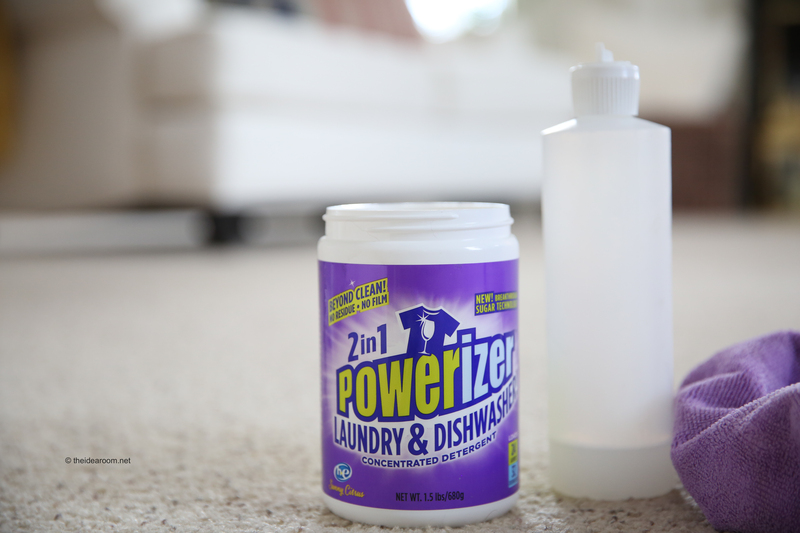 In the dishwasher, Powerizer replaces your detergent, rinse aid, and machine cleaner. One small scoop powers out baked-on foods, leaving your dishes and glasses sparkling clean and residue free, even if you have hard water. 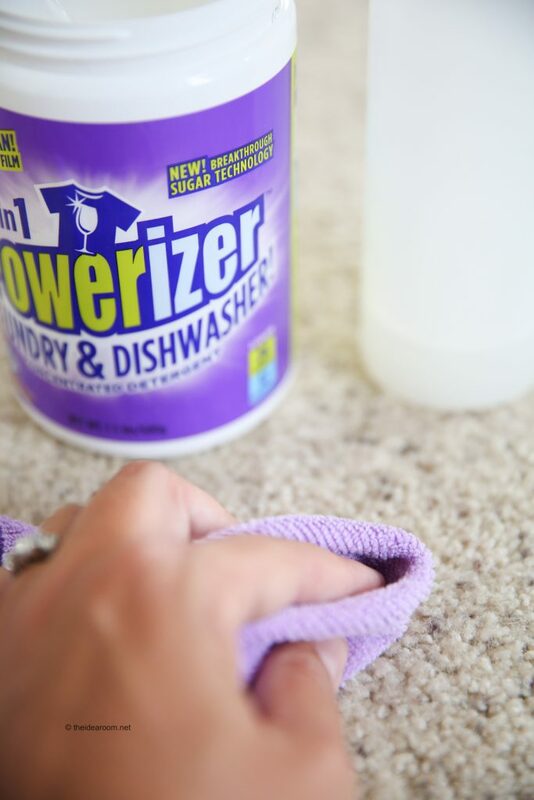 Powerizer is a complete all-in-one cleaner and detergent that effectively cleans your laundry, dishes, carpets, and every surface of your home, inside and out. Made with a concentrated formula for powerful cleaning with just one small scoop. Powerizer is the only product on the market that offers the convenience of one product for all your cleaning needs. So there is no need to buy a lot of different types of cleaners because it can do the job for all of them! Powerizer is made from all natural biodegradable ingredients, and free of heavy perfumes and other damaging additives. We all are looking for more natural cleaning solutions without a bunch of harsh toxins and chemicals. *Buy it here and use our exclusive discount code for 15% off! Powerizer can replace any of your general household cleaning products! It is a Detergent, Stain Remover and a Cleaner…all in one! All you have to do is add one scoop of the Powerizer to 16 oz. of hot water and stir until the powder is completely dissolved! It is best to use the mixture in a squeeze bottle rather than a spray bottle because when Powerizer comes in contact with water it’s cleaning power is activated which may cause a slight pressure to build up in the spray bottle which can affect its ability to spray. 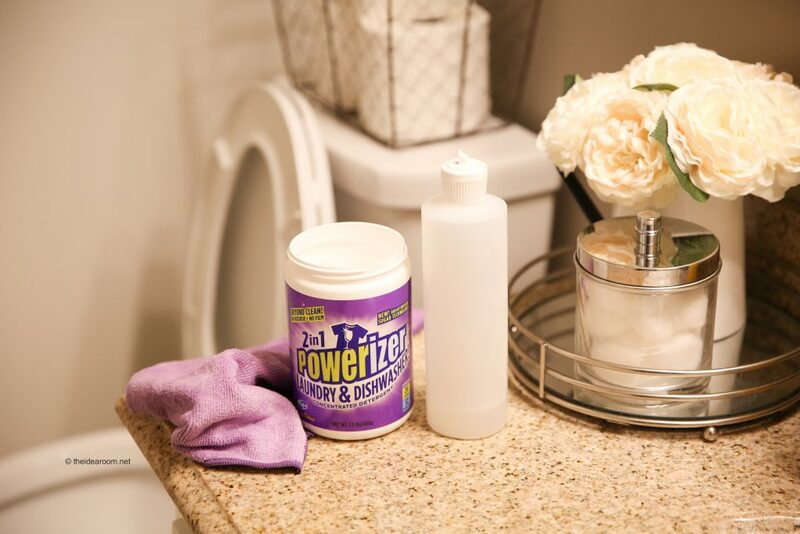 Because Powerizer comes in a concentrated form, you can make adjustments in the strength and cleaning power depending on what you are trying to clean or how tough the stain can be to remove. Just add water in varying amounts! Go here for some recommended for using Powerizer. 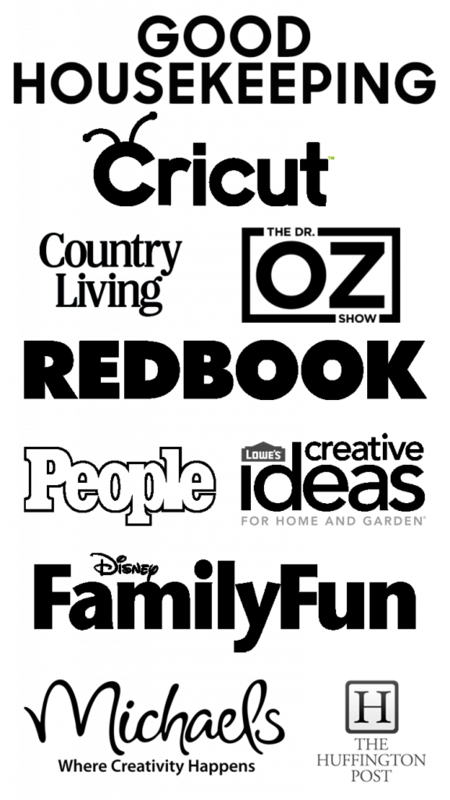 For a printable Cleaning Tips Fact Sheet, go here. Not only can Powerizer tackle the general cleaning of your home, it can be used on the toughest cleaning jobs in your home! We all have those areas in our home that are tough to keep clean. I asked several of you who follow me on Instagram Stories what your toughest cleaning jobs were. I collected several messages from our customers and realized that all of us struggle with some of the same areas in our homes! 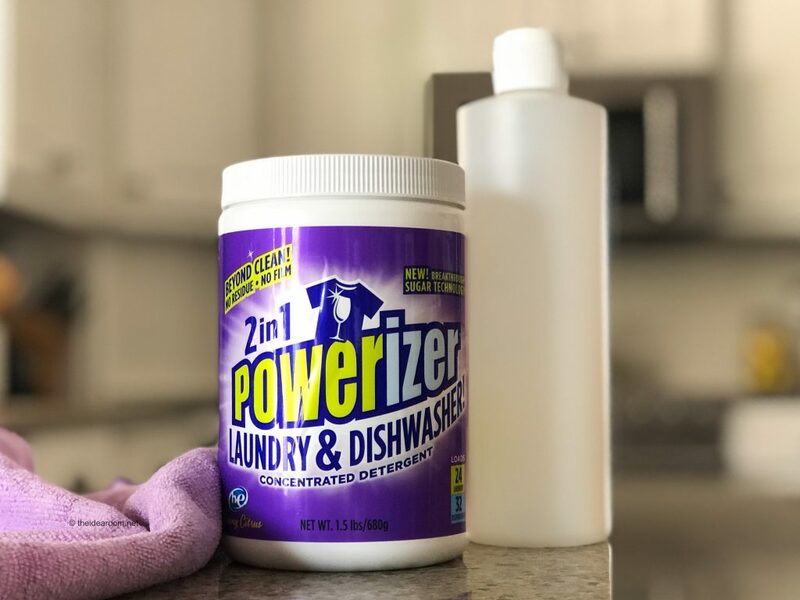 So I tested Powerizer on some of the toughest household cleaning jobs to provide you with tips to get the job done! Grout can be really tough to keep clean and stain free…especially if it is in a high traffic area or in a shower where soap scum can build up. Mix 1-3 tsps of Powerizer with a 8 oz. of hot water in a squeeze bottle. Mix together so that the powder is dissolved…or mostly dissolved. Pour the mixture in the cracks of the grout and let sit for 2o minutes. Use a toothbrush and scrub the grout lines. 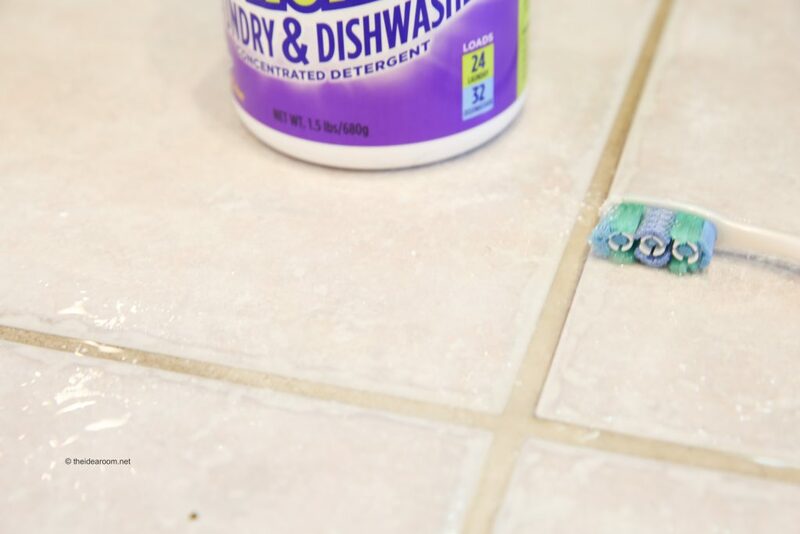 If the grout still needs a little more scrubbing, add a little more cleaner and dip the toothbrush in a little of the Powerizer powder and use it to scrub the grout again. Rinse away with warm, clean water. Pour 1/2 scoop to 1 scoop of Powerizer into a squeeze bottle and add 16 oz. of hot water to the bottle. Mix and gently shake until the powder has completely dissolved. Use the squeeze bottle to add the cleaning solution along the inside of the toilet bowl and let sit for several minutes. Scrub the inside of the toilet bowl and under the rim of the toilet with a clean toilet brush. Flush the toilet or let sit for a deeper clean. Turn off the water to the toilet (usually the water knob on the wall directly behind the toilet). Flush the toilet so that most of the water drains out of the bowl. The toilet bowl shouldn’t refill if the water is turned off properly. Mix 2-3 tsps of Powerizer is a small bowl and add a little hot water to make a paste. Scrub the paste onto the toilet stain or ring and let sit for half an hour. While wearing gloves, scrub the ring with the toilet brush or a hand brush in a circular motion to remove the ring. Pour 1/2 scoop to 1 scoop of Powerizer into a squeeze bottle and add 16 oz. of hot water to the bottle. Mix and shake until the powder has completely dissolved. 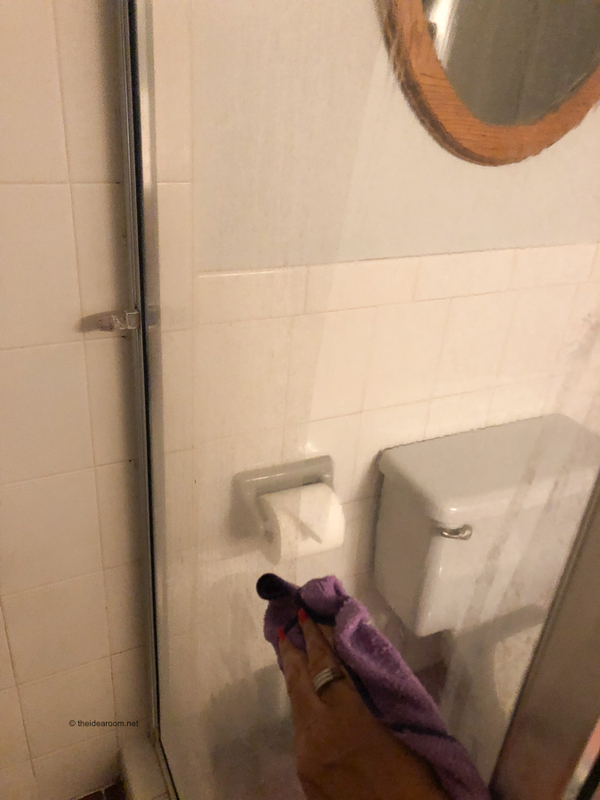 Use the squeeze bottle to add the cleaning solution to the shower tile and let sit for several minutes. Scrub the tile with a scrub brush or a toothbrush if you need to get into a small area, corner or grout line. Let sit a little longer and add a little more cleaner if needed. Dissolve ½ – 2 scoops of Powerizer for every gallon of water. For spot cleaning saturated area. Massage solution into fibers or area and let sit for 5-10 minutes. On carpets or upholstery blot with a dry towel and repeat if needed. Rinse area with water and blot up area to lift the residue. If a smell still lingers, treat area again and let dry. Mix together 1 scoop of Powerizer with 1 gallon of warm water. 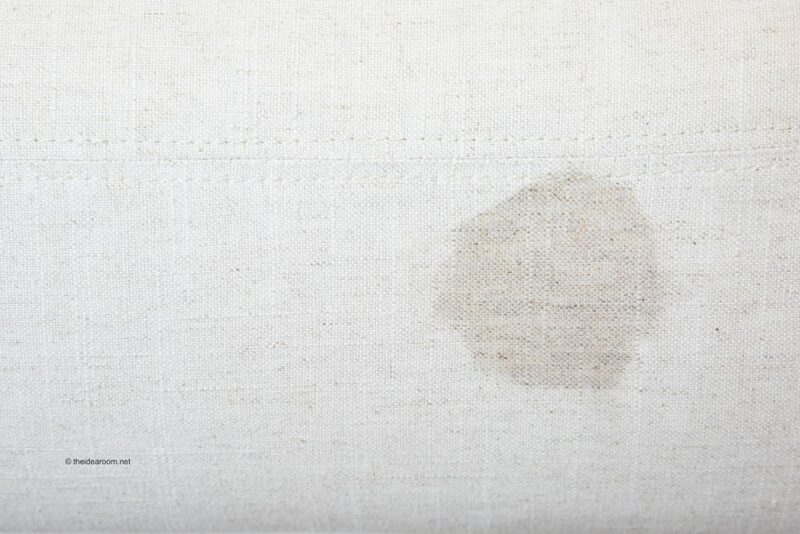 For small spot removals, pour a little bit of the solution onto a clean cloth and saturate the spot. Gently massage the cleaner into the fibers but be careful not to rub to hard. 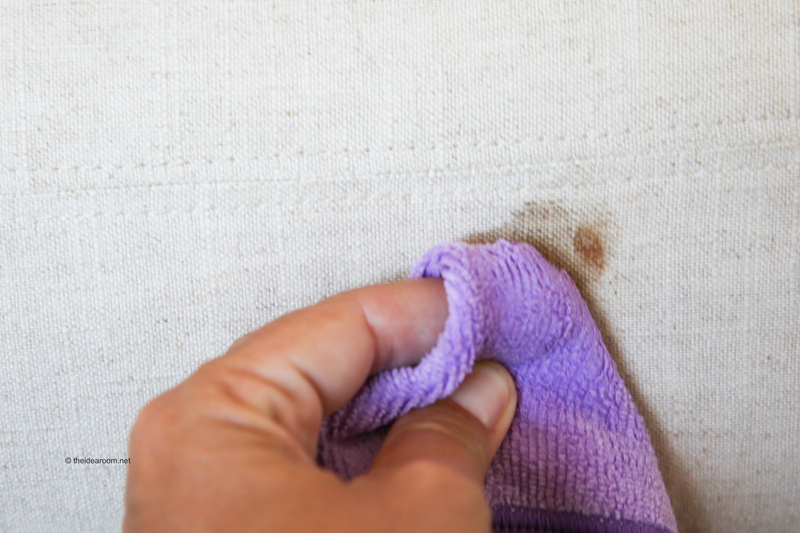 Blot the area with a dry towel to soak up the excess water and cleaner. One of the greatest advantages of using Powerizer is being able to eliminate multiple household cleaning products. Less chemicals, bags or bottles going into the landfill. In addition, saving more money on less cleaning products to buy. 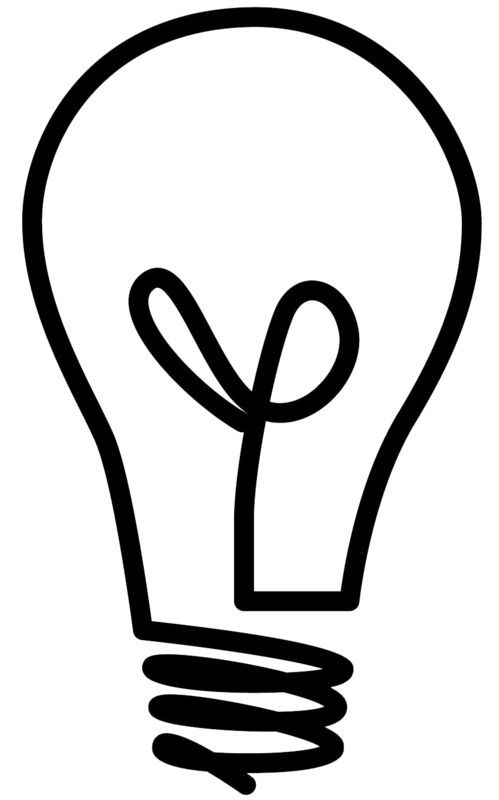 Want to learn more about Powerizer? You can learn more here. You can also follow along with them on their social channels. « How to Make a Gift Box with Cricut Maker and HSN Deal! It does have alkaline in it which can be harmful to natural stone if the solution is very concentrated. The recommended dose: 1 scoop or less to 1 gallon of water and you should be ok! I love your tips and I will definitely use them for my next cleaning at home. Thank you for sharing. 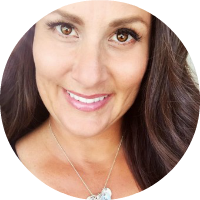 Kate- So happy you found these tips helpful! Thanks for following along!